RUSH: Let’s talk about the special election in Georgia tomorrow. This is the 6th congressional district. That’s the district that was Tom Price’s seat. Tom Price was chosen by President Trump to be the new secretary of Health and Human Services, which necessitates a special election to replace him. It is a solid, historically solid Republican seat. And what’s happened here is that there is one high profile Democrat who is seeking the office by the name of Jon Ossoff. And there are something like 11 or 12 Republicans vying for the seat on the Republican side. So the Republican support is being divided at least 12 ways. On the Democrat side, the support’s not being divided by very much at all. And there’s a lot of money pouring into this race for the Democrat. The Democrats have for some reason put a lot of emphasis on this. The Democrats are looking for a win anywhere so that they can then say that the tide has turned on Trump and that people realize they made a mistake. And whenever people have a chance to vote against Trump and support a Democrat, they do it. Now, they were all prepared to do that in Kansas, but it didn’t happen. The Democrat lost in Kansas, but the Democrat got within eight points, and so the media said it was a moral victory, that the Republican should have won that seat by double digits, and it proves, quote, unquote, that people are losing their excitement and fervor for Donald Trump. So this race tomorrow, Republican seat, big, big, big stakes. Democrats throwing money from all over the country in here. You know what their plan is? You know what their opposition is? The Democrats still, they’ve got a major problem, my friends. Well, they’ve got more than one. They actually have beaucoup problems, and most of them they haven’t yet admitted to themselves. Their entire reason for being right now is they are not Donald Trump. They believe, in the world in which they have created, the cocoon in which they live, and with the able-bodied support of a media which props them up in their surreal, false realities, they believe that a majority of the people of the country have turned against Trump or are on the verge of it, because, like them, everybody now sees what a buffoon Trump is. Everybody regrets voting for Trump, and, if they had it to do over again, they would have voted for Hillary. And so these elections are there and ready to demonstrate this. Their strategy, their plan, the Democrats’ agenda doesn’t exist, at least not one that they can admit publicly. Their complete strategy is, “Vote for us. We are not Trump.” They continue to lie to themselves. They continue to mislead themselves. They continue to live in this land of false hope where they believe their dreams and their hopes and their desires are in fact reality and that everybody shares the same dreams. So in the Democrat world, just because they hate Trump, they think everybody else is on the way to hating Trump too. And because they don’t respect Trump, ditto. And therefore people are beginning to regret voting for Trump. You can even see stories about this. The Drive-Bys are now out trying to find Trump voters admitting that they’re disappointed. And you know what? In a couple of weeks they found one, but they haven’t been able to find a huge number of Trump voters who regret it, so they’re just manufacturing that narrative in all of these special election votes. Now, here’s the thing about the one in Georgia. Somebody’s gotta get 50% or more or there will be a runoff. With 11 or more Republicans in this race, there is no way one of the Republicans is gonna get 50%. So it’s gonna boil down to whether or not the Democrat in this race can pull off 50%. Look, there might be 15, 18 candidates, total, vying for this seat. 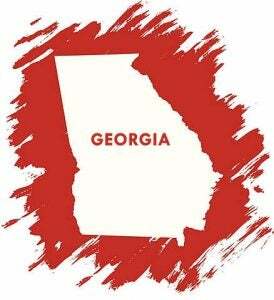 And I know a lot of Republicans in Georgia are a little frustrated because the Republicans are tearing themselves apart. They’re all running ads against each other, and so it’s a circular fire squad as far as the campaign’s concerned. The Democrat, there’s one lone Democrat here that has a chance. There are a couple, you know, outlying candidates, but it’s this Ossoff guy that the Democrats have put all their hope in. And right now the polling is that he’s at 40% and the rest of the Republicans are dividing up the 60. Of course, none of them are gonna get 50. So the hope is it goes to a runoff where you have one Republican against Ossoff. And if that happens, the Republicans are gonna hold the seat. But if the Democrats were to win this tomorrow, this is gonna be because of a real lack of Republican foresight and planning. Now I know you’re saying, “But Rush, but Rush, any Republican can run. Why should the Republican choose a candidate? Why can’t anybody who wants to run?” Well, yeah, granted. But the objective here is to hold the seat and to win it, and if you can’t come up with a consensus, here’s what the primary for, we’ll roll the dice and see what happens. But it does result in a Republican circular firing squad because they’re all running ads against each other as well as some ads against the Democrat. Meanwhile, the Democrat candidate, his ads are totally against Trump and these Republicans for supporting Trump. Now, I don’t know what’s gonna happen in the special election. I can only give you some idea what’s gonna be said if the Democrat wins, and it isn’t gonna mean anything if the Democrat wins it because there are so many Republicans divvying up the vote. But the media’s gonna have their story, and it is going to be, oh, my friends, it’s almost gonna be as big as if Hillary had won the presidency. Not quite, not quite. But if this guy Ossoff wins the seat, Tom Price’s seat, you better brace yourself for how the media is gonna cover it and what they’re gonna say it means. But even if he wins it, it’s not gonna be because people are voting for the Democrat. It isn’t gonna be because people prefer Democrats to Trump, because this guy doesn’t have an agenda that he’s announced. The Democrat agenda is we’re not Donald Trump. And, again, it’s based on their belief that people are embarrassed of and opposed to and now tired of Donald Trump. And that’s how the media will portray any Democrat election victory from here ’til 2018 and the midterms. RUSH: I’ve got a call on the special election in Georgia and I want to go it. We’re gonna start in Lawrenceville, Georgia. Stewart, great to have you. How you doing, sir? CALLER: Hey. Great. Great to get through. Listen, I’ve been in Georgia for a while, and I’ve seen all the adds that Jon Ossoff has ran, and all the latest ones are him standing there looking at the camera saying “I’m Jon Ossoff, I’m a Democrat, but I hate wasteful spending, I hate government growth, I support our military, and there are $16 billion in redundancies I want to get rid of.” And then the ad ends. It doesn’t sound like he’s supporting any liberal policies at all, and I think that’s part of the reason he’s getting so much support in the conservative area of the country. RUSH: Well, maybe, but don’t forget the — how many Republicans are in this race? I’m getting a confusing number, depending on why — it’s 11 to 18 to 12. How many Republicans seeking this seat? CALLER: Oh, I don’t know. I haven’t looked at the ballot. The election’s tomorrow. RUSH: Well, yeah, this Ossoff guy is the only prominent Democrat in the race, so of all the Democrats they’ve only got one place to go and that’s to him. But you got Newt endorsing one guy. You’ve got Karen Giorno who worked for Trump during the primary, she’s endorsing somebody else. They’re all running campaign ads against each other. But look, to your specific point about this guy, in any of his commercials is he talking about Trump? RUSH: Wait, wait, you just said you haven’t seen the ads. How do you know what he’s saying if you haven’t seen the ads? CALLER: No, I haven’t seen ads that John Ossoff is against Trump. The only ad that I’ve seen is John Ossoff standing there at the camera saying these three phrases: I support the military. I hate government spending. I hate government growth. I don’t like the $169 billion in redundancies. And then the ad ends. “I’m Jon Ossoff and I support this ad.” That’s the ad that is prominent in my mind that I’ve seen over the last few days. RUSH: All right. So that’s the only ad you’ve seen? RUSH: Okay. Are there more ads than that running, or is that the only ad they’re running? 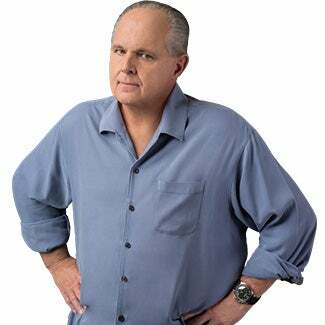 RUSH: The problem is, as you’ve just stated, there isn’t a Democrat in the free world who believes what this guy just said. RUSH: They’ll take any vote they can steal. CALLER: Yeah, exactly. They’ll take any vote that they can register. RUSH: Okay. Look, there’s no question it’s a conservative district, and an interesting observation, if what you say is true, then this guy is not running, that ad anyway, is not being run as an anti-Trump. He’s trying to get in on the action. He’s trying to get in on what he thinks voters in that district prefer. The problem is if he gets elected he’s gonna immediately start kowtowing to the Democrat leadership, which is Pelosi and Steny Hoyer and all the others, and it isn’t gonna matter. So we’ll see. You know, here’s what you have to do in circumstances like this. You have to factor the media into this. Now, to those of you living in the George 6th district, I just want you to know that we are following this too and we’re watching. The media’s got this guy on the verge of winning and the media’s got this guy on the verge of wrapping it up and the media’s on the verge of saying this means that Trump’s already starting to fade and that the people in the conservative district in Georgia, they’re willing to say they don’t like Trump anymore, Trump’s not who they thought he was. And they’re beginning to see that Trump is not the answer. They can’t wait to write this stuff. And I think their desire and their anticipation is inflating what this guy’s odds are. I’m sure he’s polling well. He’s the only Democrat in the race that matters. But my caution to you is — actually, should I tell you this or not? I don’t want to depress turnout here. But my experience is — well, just remember Hillary. She was gonna win in a landslide. I mean, Trump was 30% of the vote if he was lucky, maybe 25 electoral votes. Hillary was gonna mop the floor with Trump even, as far as the media was concerned, on election night. And all of their polling data supported this. There’s our old buddy Nate Silver out there at FiveThirtyEight, “Yes, Hillary Clinton with a 95% chance of being –” And every Democrat believed it, the Clinton campaign believed it. This is a race made to order for this kind of media malpractice because with this many Republicans splitting the vote, there’s no way a Republican’s gonna get close to 50%, but the Democrat might. So the media could very easily be exaggerating, and it could well be that tomorrow night when the votes start coming in that this Democrat doesn’t get anywhere near 50%. They’re projecting him at 40 right now, but they’re saying it could break, it could break big on Election Day when people actually go in, that 40 could get close to 50, you never know, always rounding it off upward. But if intelligence guided by experience is any guideline, the guy isn’t going to do as well as they are reporting, and their reporting is based on their hopes. So it’s likely that there will be a runoff, even with the polling now, which may be showing Ossoff a little higher than he’s actually gonna get. There’s gonna be a runoff, and that’s gonna be a damper, ’cause the Democrats and the media, they want to win this thing outright tomorrow. RUSH: Just a couple more points on this Georgia special election. The Obama remnants are involved in this. That’s how much the Democrats hope that this election will allow the media to say that Trumpism is over. Even if the Democrats win this, it’s not gonna mean that at all. Because if the Democrats win this tomorrow it’s just gonna be because there are too many Republicans dividing the Republican vote. That’s all it’ll mean. Anyway, the Obama people have sent Julian Castro in there of the famed Castro brothers of Texas, San Antonio. They’re the sons of Rosie Castro, who is one of the most lifetime radical Democrat operatives the nation has ever seen. Look her up. Google Rosie Castro, and you’ll see. She is the mother of Julian, and I forget the other Castro’s name. They were both — (interruption) Yeah, Joaquin, exactly right. Anyway, there were grand ideas for one of the Castro brothers to become president one day, and it hasn’t — what was gonna happen was Obama first African-American, rah-rah, yay, yay. Then Hillary first female, yay, Democrats historic. And then it was gonna be Hispanic and it was gonna Julian Castro. RUSH: Julian Castro, who was a member of Obama’s cabinet, is rallying support for Jon Ossoff (rhymes with), who is the leading Democrat candidate in this election in Georgia to take the seat of Tom Price when he became secretary of Health and Human Services. Julian Castro, who served as Obama’s secretary of Housing and Urban Development, met with supporters at Ossoff (rhymes with) office. Pictures of the event were posted online Saturday. Castro was also mayor of San Antonio before he was tapped to join the Obama Regime. Now, this Ossoff guy is a former aide to representative Hank Johnson. Does that name ring a bell? Does the name Hank Johnson ring a bell? Well, it should. Let me tell you about Hank Johnson. Hank Johnson once strode to the floor of the House and worried that too much of the population of Guam lived on one side of the island and the weight of the population was going to cause the island to capsize. He was worried that the weight of the population on one side of Guam was either gonna cause Guam to sink or capsize or something. Not making it up. And when Hank Johnson said it, it was typical. The media covered it. They didn’t really want to go there. They acknowledged that Hank Johnson’s had some challenges lately, but he’s a decent guy, a great Democrat, has lots of compassion, and he’s worked hard to help the underprivileged and the downtrodden and yada yada yada yada, did everything they could to avoid reporting on it. This is lunacy. By the way, where did Hank Johnson get this theory? Global warming. It starts at global warming, populations are gonna cause islands to capsize ’cause of rising sea levels and the weight of too many people living on one side of the island. Anyway, this Ossoff guy was a former aide to Hank Johnson, and Samuel L. Jackson, noted now angry activist of the Democrat Party, is in there campaigning. Samuel L. Jackson is mad now. It seems any time he’s in public he’s mad about something. So he’s in there campaigning for Ossoff (Rhymes With), and so is Alyssa Milano. She’s an actress. I don’t know what she’s been in. Donors have reportedly contributed $8 million to Ossoff (Rhymes With). Meanwhile, on the Republican side, as I say, 11 or 12. And special is Tuesday, gotta get 50% or there is a runoff, top two candidates on June the 20th. And according to the Washington Examiner Ossoff will likely make the second round of voting but will probably lose in that contest. What that means is that Ossoff is polling at 40, probably will not win tomorrow, and when it’s just Ossoff (Rhymes With) and one Republican in June, that the Democrats lose. That’s according to early polling data. And that pretty much sums it up on that special election tomorrow. RUSH: Now, the Ossoff guy, he looks a little like Pajama Boy. Do you remember the ad the Obama administration ran for some government policy, Obamacare or some such thing. And it was sit down at your computer and sign up at healthcare.org, whatever it was, and they had this guy in his pajamas. This guy looks just like the Pajama Boy. It was kind of a rude awakening for us. We all thought, “Man, this is not good.” And it turned out it related to a lot of Millennials. That’s how they are seen. Anyway, that’s who this guy is. Best I can find his TV ads do not mention Trump. They mention things Democrats don’t believe in, like reducing spending, economic growth, but he is in a conservative district, and that’s what the voters there want, so he’s trying to convince them.